Single parents often can’t spend enough time with their children, mostly because they often have to work harder than most parents. One excellent way to spend meaningful, bonding time with your children is to read to them. 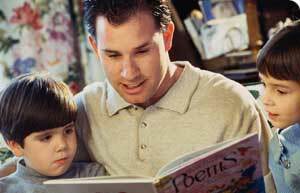 Studies have shown that children who start reading from an early age have better language development. Toddlers books teaches children that there are different worlds to explore and heightens their imaginations. There are just so many advantages to reading and having a good selection of toddlers books is a great way to get your children into the habit or reading. There are so many books out there readily available that it can become rather daunting having to select just a couple of great toddlers books. Here are some that have been entertaining readers for years, and will continue to entertain kids and adults alike for many more years to come. 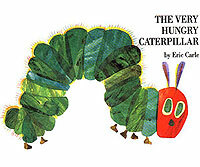 The Hungry Caterpillar, first published in 1969, has sold over 30 million copies worldwide. The book follows the ravenous caterpillar’s path as he eats his way through one apple on Monday, two pears on Tuesday, three plums on Wednesday, and so on, through cherry pie and sausages until he pupating and turning into a butterfly. This book not only introduces children to the life cycle of a caterpillar, but also shows how an ugly fat caterpillar is transformed into a beautiful butterfly. 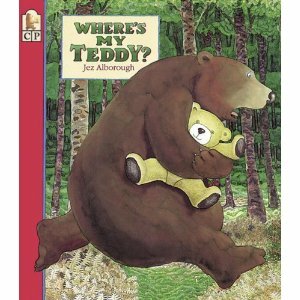 The story tells of the mix-up of two stuffed toys, one belonging to a small boy and the other to a giant bear. The rhyming text will keep readers turning pages, while their fear of the unknown and the ensuing visual absurdity will keep them riveted. Although the real bear looms ominously large at first, he becomes less of a threat once it becomes clear that his only concern is his own teddy and not the trembling boy. 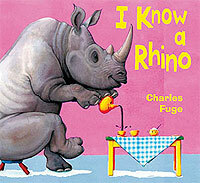 First published in 1960 and hailed as the fourth best – selling English – language children’s book of all time. 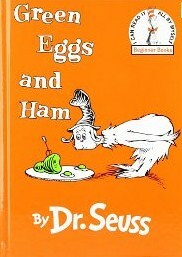 Green Eggs and Ham is a beginners reading book, with only 50 words used in this book. Sam-I-am is as persistent as a telemarketer, changing as many variables as possible in the hopes of convincing the nameless skeptic that green eggs and ham is a delicacy to be savored. He tries every manner of presentation with this “nouveau cuisine”–in a house, with a mouse, in a box, with a fox, with a goat, on a boat–to no avail. Then finally, finally the doubter caves under the tremendous pressure exerted by the tireless Sam-I-am. Whimsical illustrations featuring neon colors and figures outlined in black, show big ones and small ones, and families that look alike and relatives who look just like their pets. The art features both human and animal figures; thus, pigs depict both a family that likes to be clean, and one that likes to be messy. Some families include stepmoms, stepdads, stepsisters, or stepbrothers; some adopt children. Other families have two moms or two dads, while some children have only one parent. 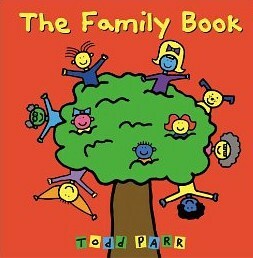 This book was written to encourage early literacy, strengthen family bonds and enhance emotional development. 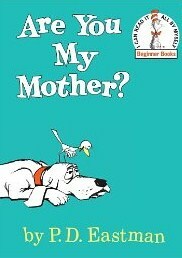 This story follows a confused baby bird who has been denied the experience of imprinting as he asks cows, planes, and steam shovels the Big Question of “Are you my mother?“. In the end he is happily reunited with his maternal parent in a glorious moment of recognition. 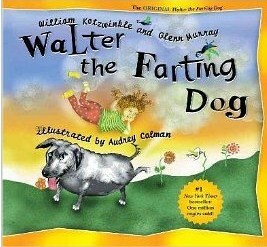 These are a series of adventures about Walter, The Farting Dog, an apologetic-looking dog adopted from the pound, passes gas morning, noon, and night, no matter what he eats, whether it’s a 25-pound bag of low-fart dog biscuits, cat food, or fried chicken. This book will have your kids rolling on the floor with laughter, and might even get a laugh out of mom or dad! This little girl hosts a rhino for tea, has mud fights with a pig, dances with an ape, takes care of a dragon with a cold, and bathes with a giraffe. It’s the most delightful mix imaginable, and the sweetest story-with a little twist at the end! 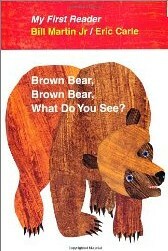 This book is suitable for kids between the ages of 3 to 7. This truly hilarious picture book tracks the ins and outs of a worm’s life from the perspective of the worm family’s young son – he gets to eat his homework and does not need to take a bath. 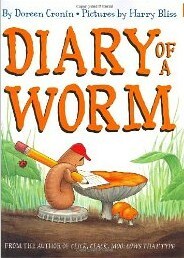 Written in diary form, and children and adults alike will enjoy this funny, colorfully written children’s book. Jeremy Jacob knows all about being a pirate. He throws his food across the table and his manners to the wind. He hollers like thunder and laughs off bedtime. 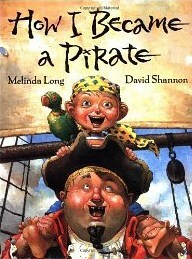 This is a hilarious story about the on going’s of a pirate’s life that any young child will enjoy. Toddlers books help increase their vocabulary – the more words young children are exposed to early in life, the richer their linguistic tool kit will be. A rich vocabulary leads to rich thinking—the lifelong benefits are immeasurable. Now that you have a starting point, get those toddlers books and get the family reading!